It’s been a while since my last gig round-up post, but I’m going to try my best to get these done a lot quicker! This summer has been pretty quiet on the live music front, but I’m hoping for a busier autumn and winter, with me planning to use Jukely a lot more! Anyway, here’s who I saw over June, July and August. 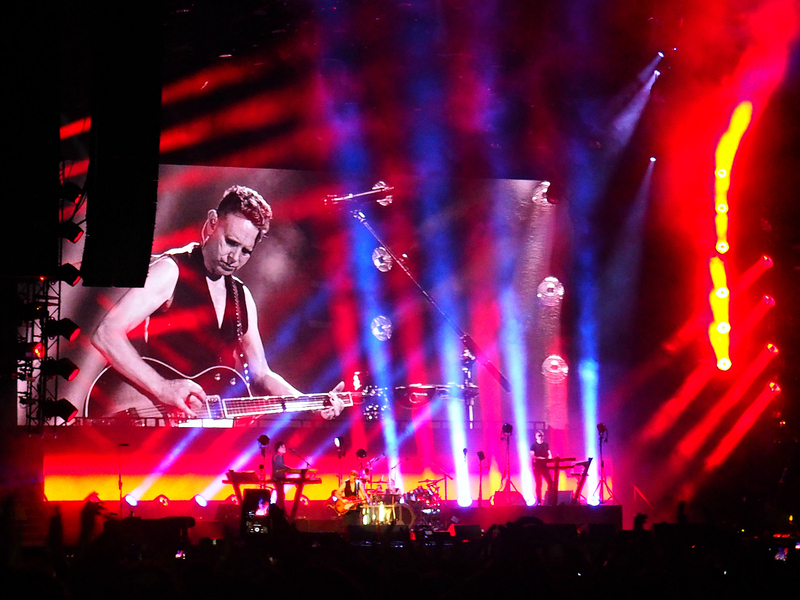 This gig was double the level of excitement, as not only was it my 1st ever time seeing Depeche Mode live, but it was also my 1st ever time inside the Olympic Stadium. It was the 1st outdoors gig of the season, and of course the heavens opened just as they started playing Enjoy The Silence, one of their biggest hits! 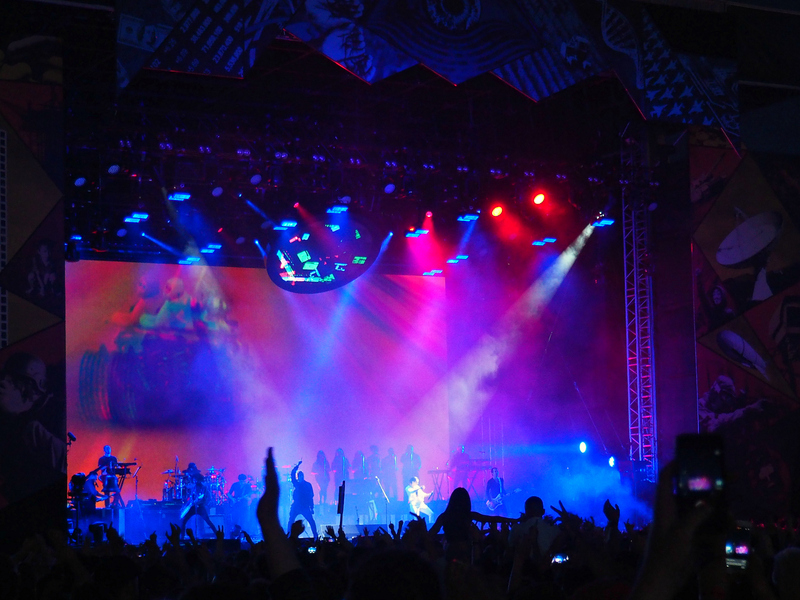 This was Gorillaz‘s first gig in 6 years and boy did they put on a hell of a show. 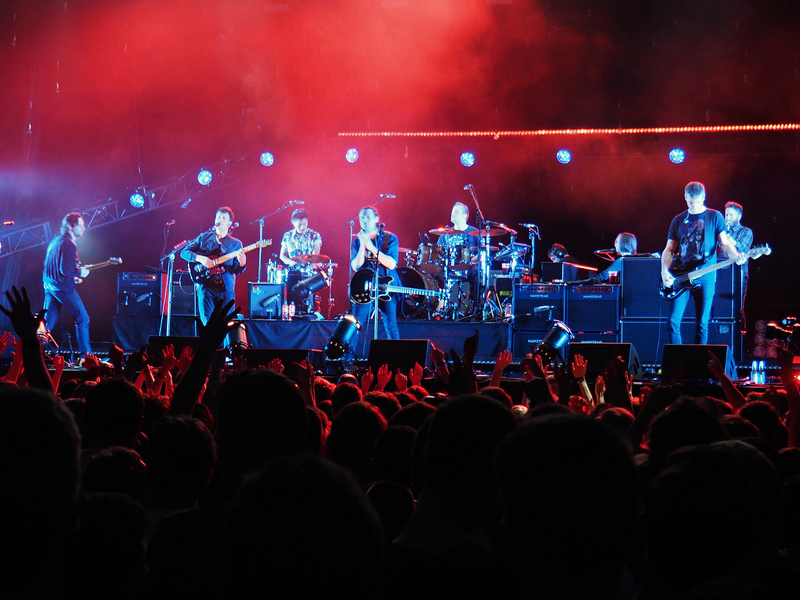 Damon Albarn’s Blur bandmate Graham Coxon even joined them on stage! As this gig was further afield than we’re used to, we decided to camp nearby afterwards. Getting back to the campsite proved very difficult as local taxis were all fully booked. In the end we waited 3 hours before eventually getting in our own taxi and made it back to our tents. The end of an era. I was lucky enough to be at one of the Maccabees last ever shows. To say it was emotional is an understatement. They really did give it everything they had. I wish them all the best of luck, but very much hope for a reunion in the not too distant future. 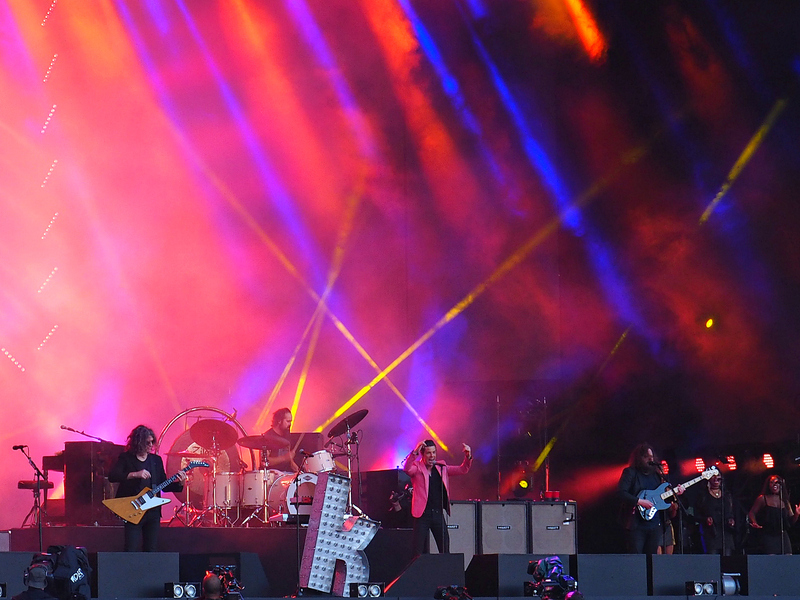 One of my all time favourites – The Killers! The new stuff is sounding incredible. I seriously can’t wait for the new album, and to see them again in November! I’ve seen these guys quite a few times now, but they just keep on getting better. It was great to hear lots from their album Sam’s Town which celebrated it’s 10th anniversary this year. James & I celebrated our 2nd anniversary together with a trip to Edinburgh. As we met at a gig back in 2015, we thought it only right to sought out some live music whilst in the Scottish capital. First up was some traditional folk in the intimate setting of Captain’s Bar. I absolutely love finding local music, and this did not disappoint. It felt like we were sat in on a private jam/rehearsal session. So much talent in such a tiny space! Our 2nd night of live music in Edinburgh was found on the rooftop of Waverley Station where you’ll find bars for drinks and stalls for food. There was also a stage setup, so we took our seats on one of the benches and chilled out with a couple of pints. One of the acts we got to see was Aaron King. He’s got one of those raspy rock’n’roll voices that works very well acoustically too. This was such a beautiful spot for some live music with incredible views of the city, including the castle. Having not used Jukely in 2 months, I thought it was about time I get back to it. James & I had planned to see each other one Tuesday night, so I checked to see what passes were available. I quite liked Anoushka Lucas‘ chilled out sounds so got us put on the guestlist. I’d never been to Archspace but it was a wonderful venue, especially for acoustic music. Anoushka actually announced today that her 1st single will be released on 15th September, so keep an eye out! I was lucky enough to be invited along to Newcastle last weekend with one of my favourite gal pals, Erica. We’d heard the city was full of plenty of places to get your live music fill, and I’m pretty sure we found the best. Billy Bootlegger is an American Dive bar and upon looking on the website, we found they had live music starting at 9pm that night. The band that night was Struggle Buggy, and they played lots of 1930’s rhythm and blues. It was such a great night with audience participation and dance moves, with us even being given badges from the lead singer for getting involved. It was such a great night. The best in a long, long time. Another Jukely gig last night with Neon Waltz who have popped up a couple of times in my Discover Weekly playlist on Spotify. They put on a great, lively set, but this was one of those rare times where I actually preferred the support band. Indigo Lo really blew me away with their unique sound. They were psychedelic but a little heavier. I will definitely be seeing them again! You can catch May’s gig round-up here, and be sure to read all about why I go to so many gigs.